Ener-C SPORT is an electrolyte drink mix to replenish essential minerals lost through sweat, and to help refuel your active lifestyle. It helps enhance the body’s energy reserves, restores and supports the body’s electrolytes, and helps with exercise recovery. Ener-C SPORT contains natural fruit juice powders and is free from artificial flavours, colours and sweeteners. Ener-C SPORT is suitable for vegans and vegetarians, and is tested and verified to be free from gluten, lactose and dairy. 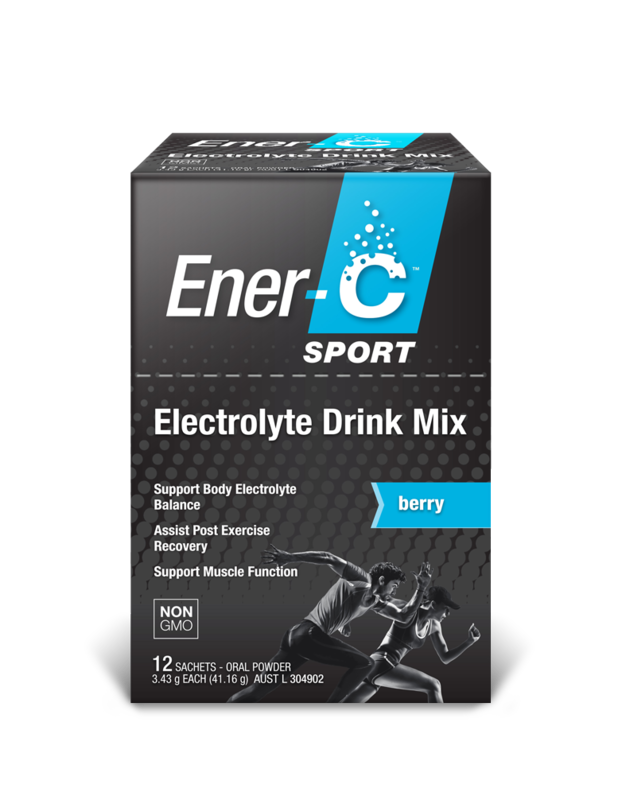 Enjoy berry flavoured Ener-C SPORT to stay hydrated, replace electrolytes lost through sweat and support exercise recovery. Dose: Dissolve the contents of one sachet into 500 mL of water and drink. Do not exceed two sachets daily. Warnings: Adults only. Vitamin and mineral supplements should not replace a balanced diet. This product contains Selenium which is toxic in high doses. A daily dose of 150 μg for adults of Selenium from dietary supplements should not be exceeded. Contains 110 mg of Potassium. If you have kidney disease or are taking heart or blood pressure medicines, consult your doctor or pharmacist before use. Contains glucose.